School of Computing and Business Studies is a dynamic private College located in Brixton (Zone 1-2), the heart of London. We provide a stimulating and friendly learning environment in which our students can maximize their potential and achieve their academic and professional goals. 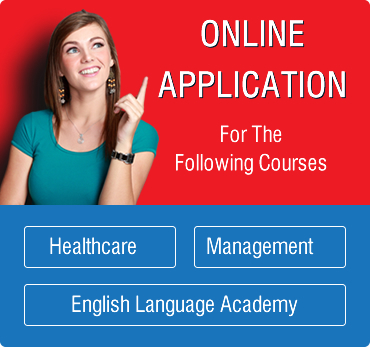 We have General English Coursesto suit everyone with courses starting six times a year. You can study any length of time from 1 to 42 weeks and choose the best timetable for you. You can study from 09.30 to 12.45 or 13.30 to 16.45 or even choose to study from 9:30 to 16:45. If you want to improve your general English, are free on weekday mornings/afternoons and your level of English is at any level from Elementary up to Proficiency level, this is the course for you. We subdivide levels so that you are placed in a class with other students at the same level as you, and will test your English level on arrival at the school. Students make progress on the General English Coursefrom Elementary to Pre-Intermediate. The course develops reading, writing, speaking and listening skills. You will work on the English language, with grammar, vocabulary, pronunciation, communication and fluency tasks. You enroll at CEFR Level B1. Students make progression on the general English course from Intermediate to Upper Intermediate. You develop your reading, writing, speaking and listening skills as well as your grammar, vocabulary, pronunciation and communication through meaningful tasks. You must be at CEFR Level B1 or higher level to enroll. Students make progress on the general English course from Advanced level to Proficiency level. You develop your reading, writing, speaking and listening skills. as well as your grammar, vocabulary, pronunciation and communication through meaningful tasks. You must be an advanced CEFR Level B2 or higher level to enroll. With maximum number of 15 students per class you will receive lots of individual attention but also have lots of opportunities to practice new language with your classmates. Our General English Courses are designed to improve your English across the main skill range: Listening, Speaking, Reading and Writing. In addition to this, grammar, vocabulary, pronunciation, communication and fluency are also built into your General English course. Teacher feedback and progress monitoring are also included to help you monitor your performance and guide you to the next stage of learning, whether for examinations or for specific purposes. You receive a certificate after successful completion of course, and given 80% course attendance.